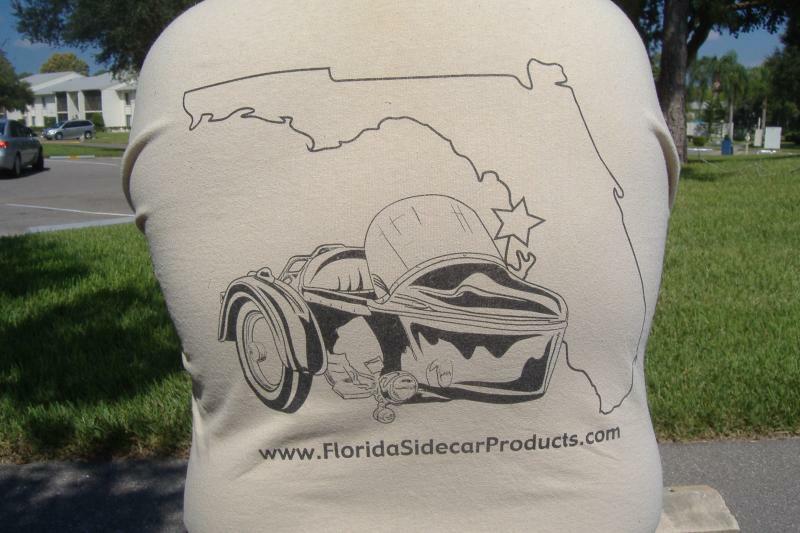 Products: T-Shirts! 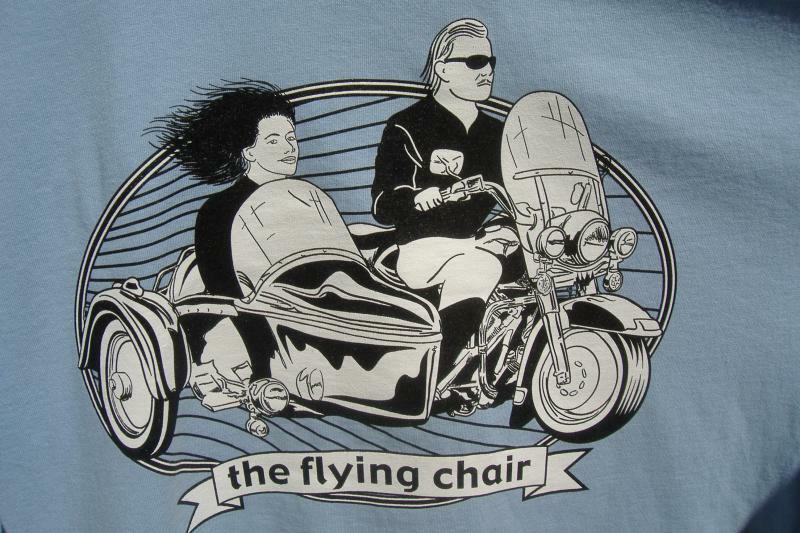 3 Colors, 3 Sizes of "the flying chair"! 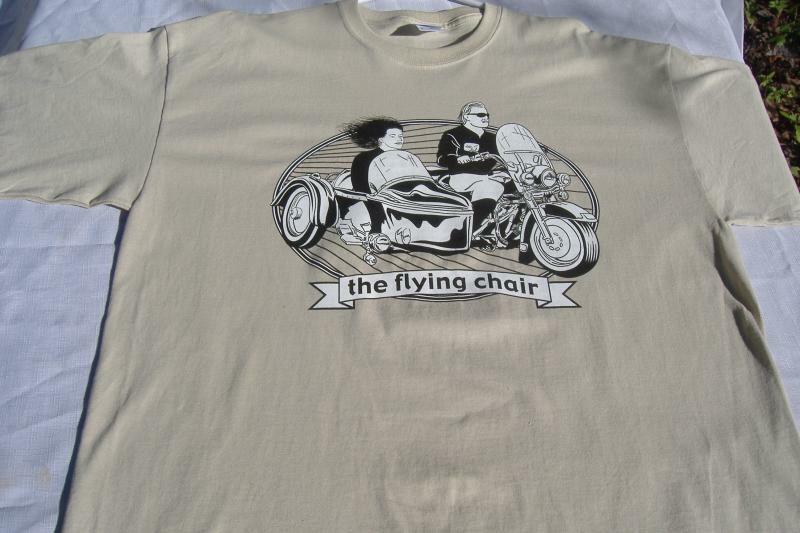 Our short-sleeved T-shirts are screen printed on Gildan 6.1 oz. 100% preshrunk cotton with double-needle stitching throughout. Our color selection is Orange, Tan or Light Blue. 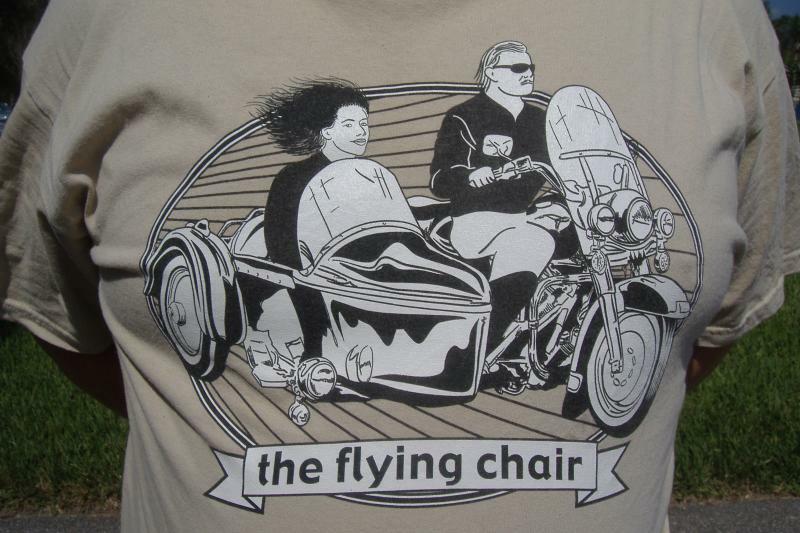 All shirts are two color printed on the front in black and white. The back of the shirts are printed with black only. The price for each T-shirt is $19.80 with free shipping. We ship USPS First Class mail. At this time we regret we do not have a shopping cart so for multiple purchases please click on the Paypal button for each desired size and color. For people wanting to send check or money orders, just e-mail us your order and we will e-mail back a invoice. Thank you. 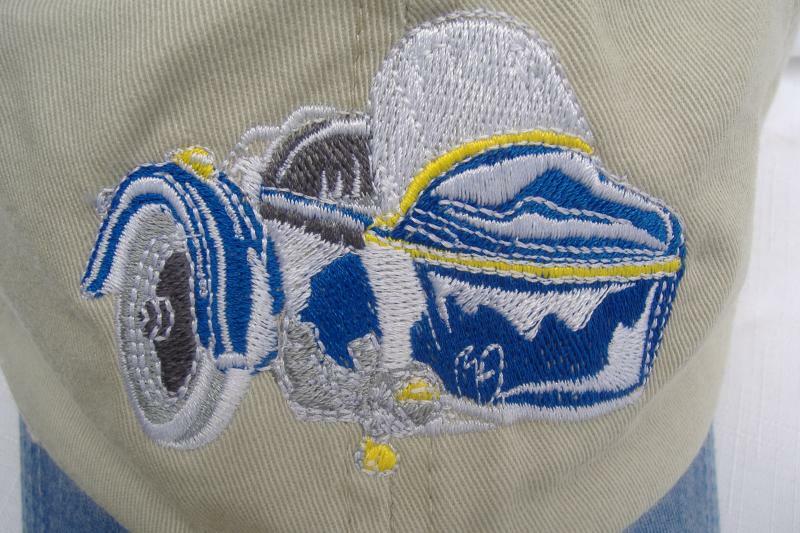 Embroidered Sidecar Hat. 100% cotton hat shell with 100% Nylon lining. Five color thread embroidered sidecar picture. Khaki color crown with Royal Blue pre-formed bill. Adjustable size leather strap with antique brass closure and Buckel. Adams hat with Cool-Crown mesh lining to promote cooling and minimize staining. Large Orange T-Shirt. Free shipping in the USA. Large Tan T-Shirt. Free shipping in the USA. 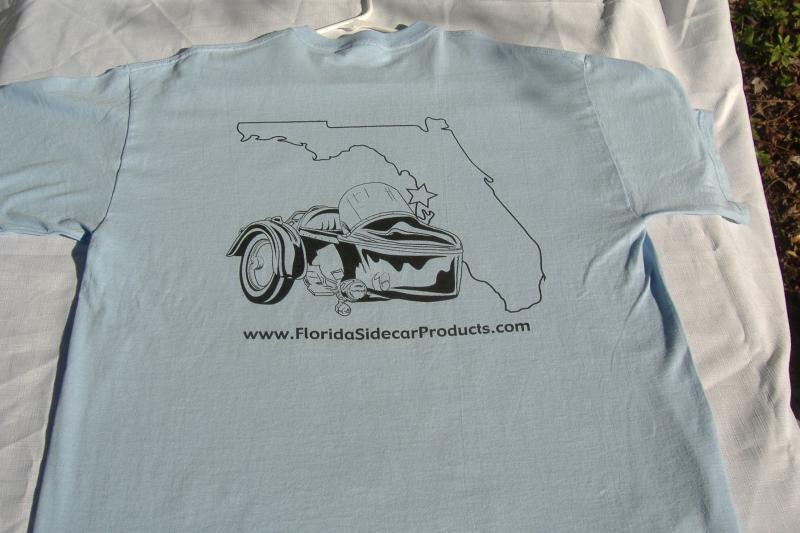 X-Large Light Blue T-Shirt. Free shipping in the USA. I just have a few of these in stock. I will not be getting any more made. 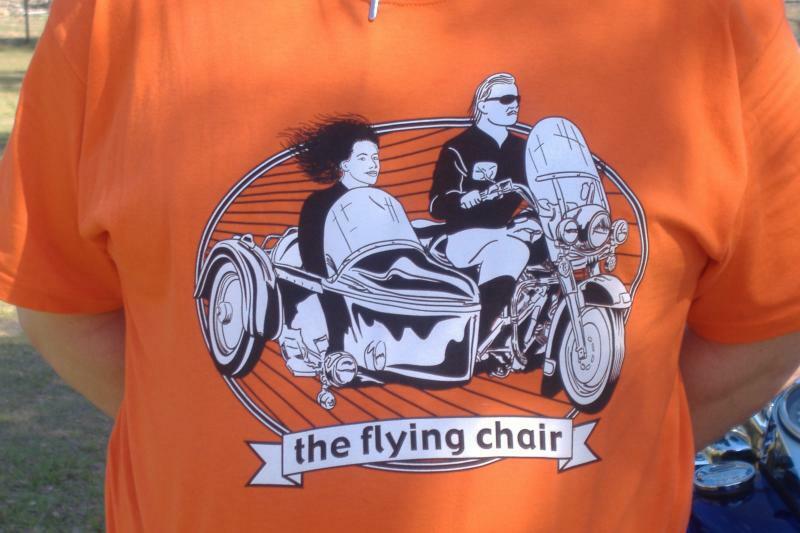 Tan, Light Blue & Orange "the flying chair" t-shirts. 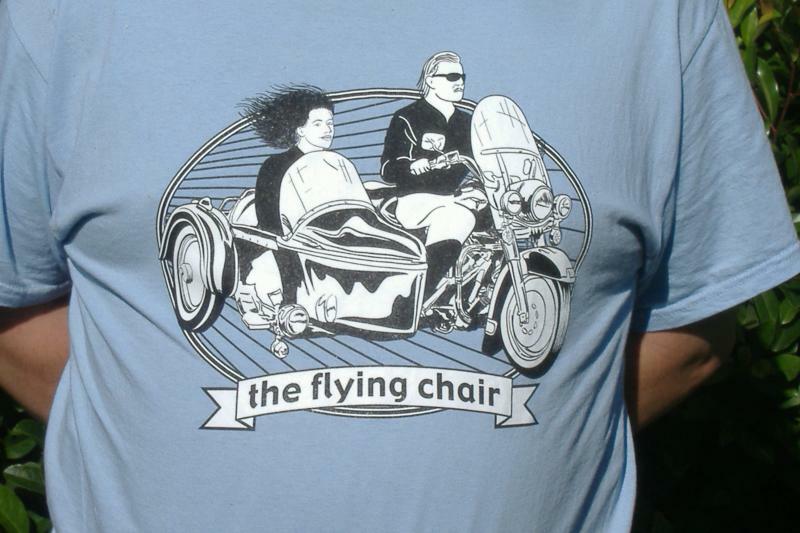 Look great in this beautiful Motorcycle Sidecar t-shirt or hat and tell the world who you are on the inside.